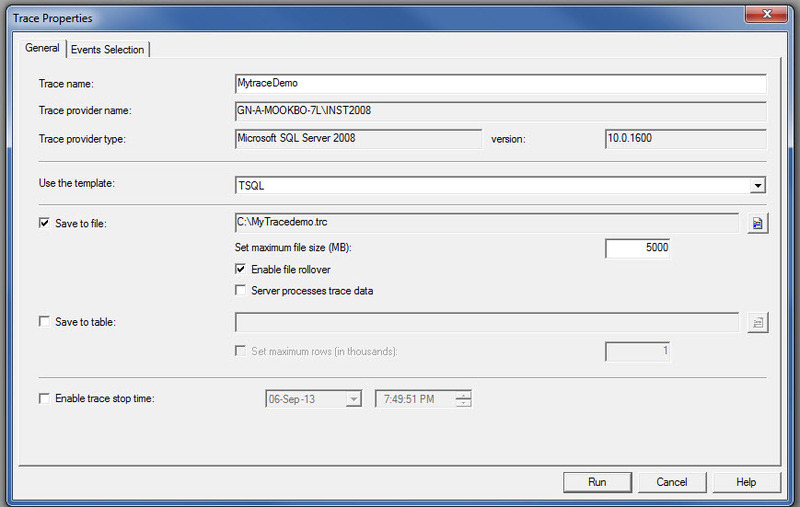 In this post i would like to demonstrate how to create and run a trace on a SQL Server. 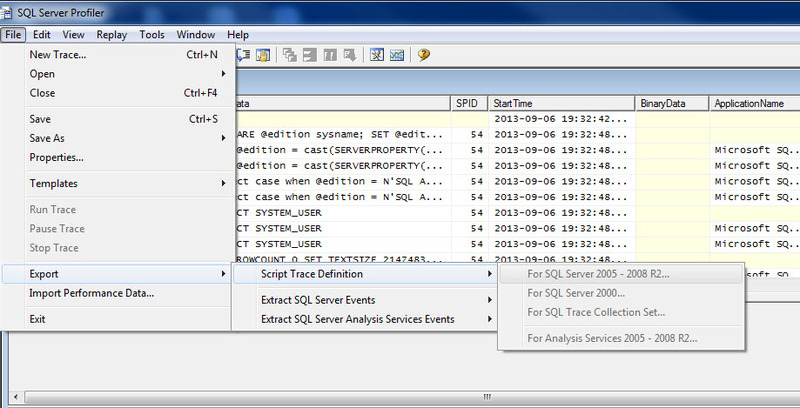 Step 4: In the next window we need to feed the profiler with what we want to capture such as events,template. We can also set a stop time for the trace to stop automatically. The general tab also allows to decide where we want to save the trace file i.e we can either save the trace file as a file or save the data as a table in a database. 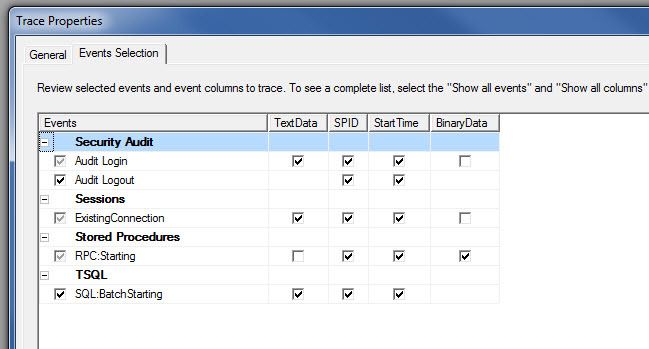 Apart from that the template drop down helps us decide what kind of data we would like to capture. In our example we will save the trace in a file. We also need to set the maximum file size and if a file would roll over in case the maximum limit is breached. 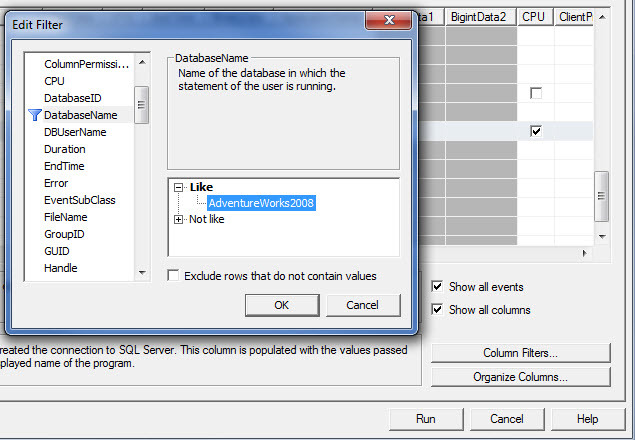 If we want we can save the definition of the trace as a T-SQL script. This is how we would achieve the same. 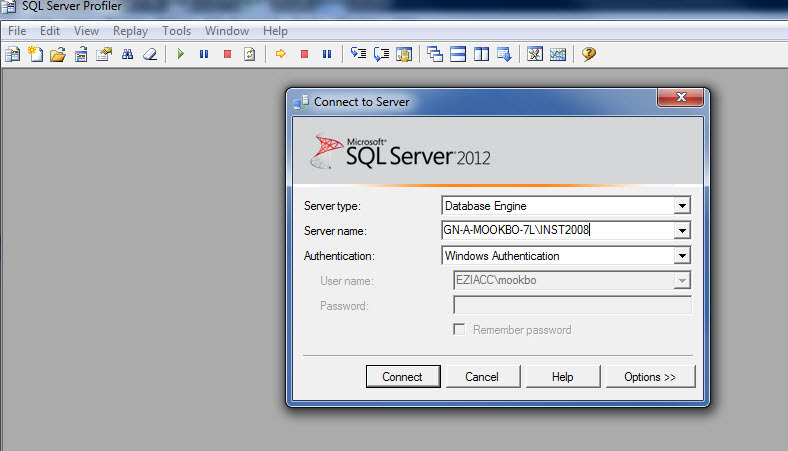 In the next post i will demonstrate how to use this SQL script for later use for capturing data. I hope this demo was useful. 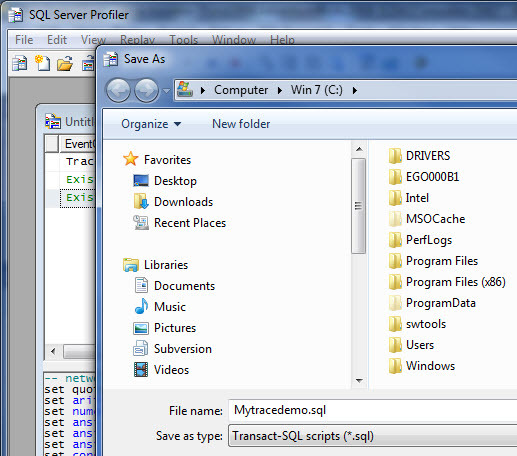 ‘filename’: is the initial trace file to be read. Filename is nvarchar(256), with no default. number_files:Indicates the number of rollover files to be read. This number includes the initial file specified in filename.The value is an integer. EXEC sp_trace_setstatus @traceid , @status = 2 — Eliminates the definition of the trace from the server.